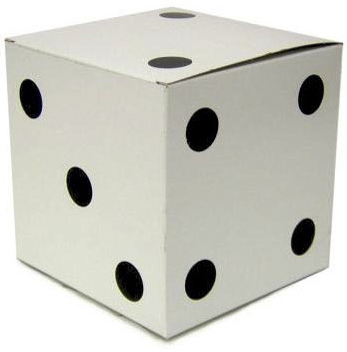 This is our White Folding Dice Box 6 Inch. 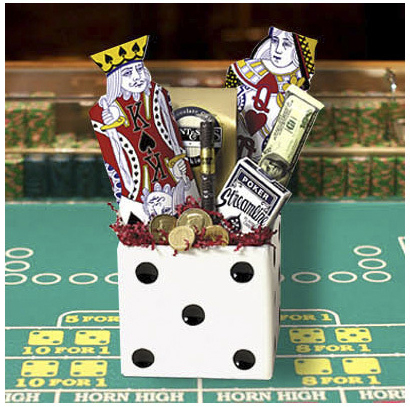 This box makes a great table decoration at any casino night party event. Can be used as a prize, gift box or as a table centerpiece. Easy to put together, no tape needed. Shipped flat Measures 6 x 6 x 6 inches.